I’ve recently transformed into a mini gym rat since finishing undergrad. 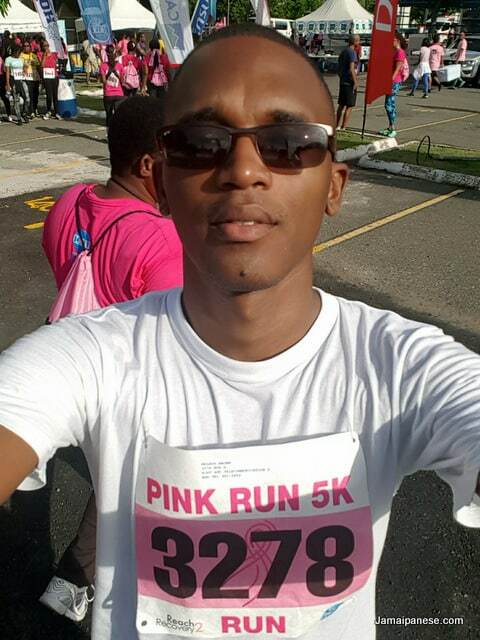 I decided to put my new-found “fitness” to the test by participating in the Jamaica Reach to Recovery Breast Cancer 5K Pink Run. The result? 36 minutes and 53 seconds for 335th place! I am very happy to have participated in this cause as cancer is no joking matter and has ravaged many families. I intend to continue particpate in more 5K charity runs as my own fitness level rises I hope to lower my time to below 30 minutes. 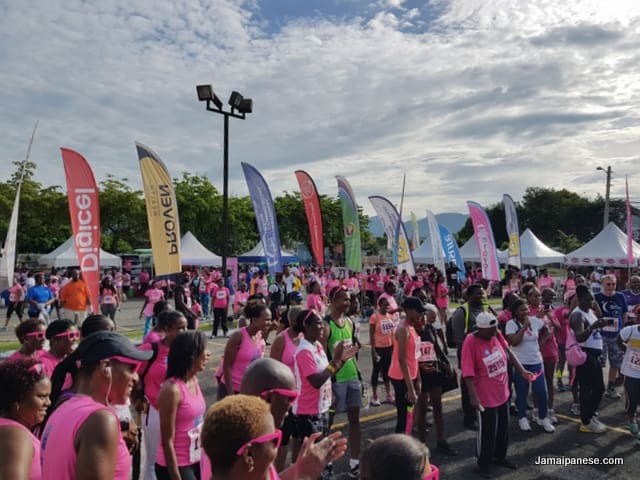 The Pink Run, pink being the colour associated with breast cancer worldwide, is the primary fund raiser for Jamaica Reach to Recovery. All funds raised will provide lifesaving breast cancer treatments to help ease the high cost of diagnosis and treatment, which is out of reach for most Jamaican women. The Jamaica Reach to Recovery is an affiliate of the Jamaica Cancer Society and is staffed by a resilient group of volunteers, all whom are breast cancer survivors, whose sole purpose is to provide emotional, psychological and financial support as well as information and counselling to breast cancer survivors, and by extension their family and friends.